The world was a more stable, predictable place. 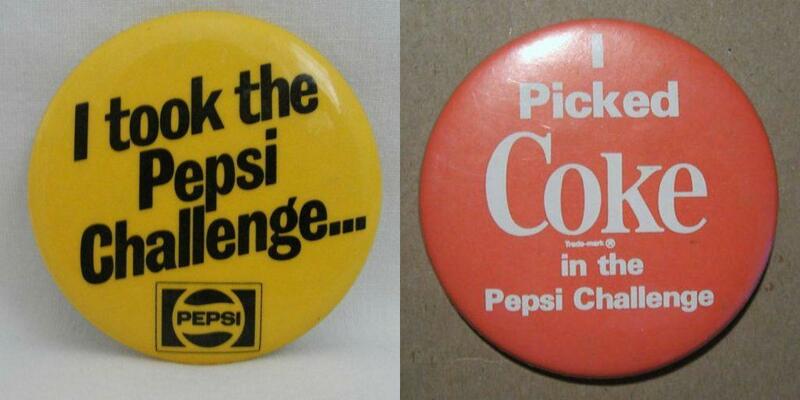 Companies knew their competitors: Coke had to crush Pepsi. Adidas sought to outdo Puma. Avis vied against Hertz. McDonald’s obsessed about its feud with Burger King. Amidst this environment, strategy tools proliferated. 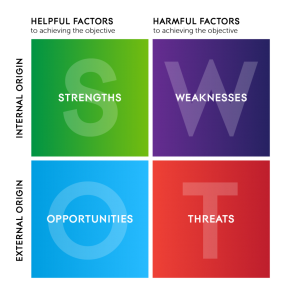 Your company probably still uses the SWOT Analysis, which was developed in the 1960s. 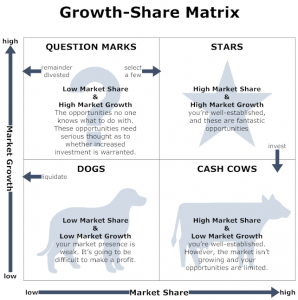 Perhaps you also use Boston Consulting Group’s popular Growth Share Matrix from the 1970s. 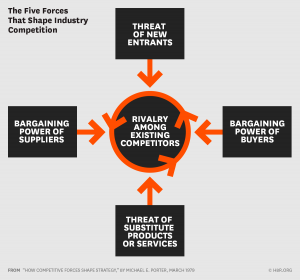 And many rely on Porter’s Five Forces, which debuted in the Harvard Business Review in 1979. All three of these tools—and many more—were conceived before the internet, before the rise of globalization, and before the rise of mega businesses like Amazon and Tencent. They reflect a world more familiar to automobile manufacturer Henry Ford than to Amazon titan Jeff Bezos. Henry Ford would never have expected competition from Thomas Alva Edison’s light bulb business. Yet, in today’s world, competitive threats can come from sources equally unexpected. 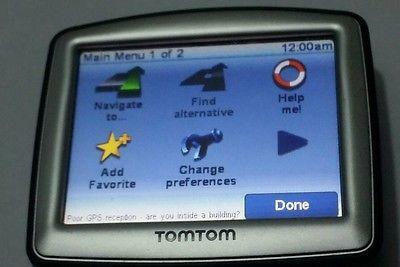 Garmin and TomTom, once the leaders in navigation devices, were blown away by the rise of smartphones, which included free GPS navigation. They never anticipated that the iPhone would become a threat; they were focused on each other and other auto navigation upstart companies. 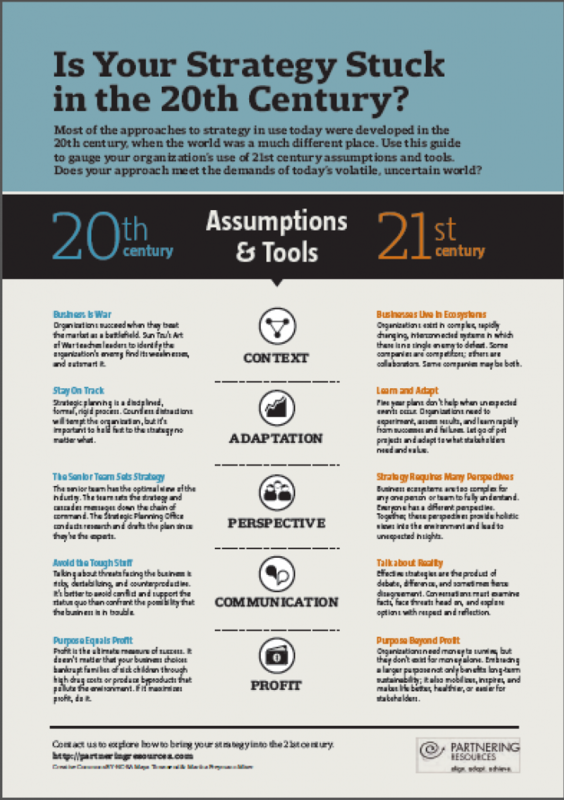 Is your company working from the assumptions and philosophies embedded in 20th century thinking? Or does its strategy acknowledge that today’s environment is a much different place? Once your company sets strategy, is it cast in stone? Or does your strategy allow for learning, adaptation, and flexibility in order to meet changing demands? Does your company depend on its executives and/or strategic planning office to develop strategy? If so, it could be basing its work on a severely limited view of the environment. How openly do people in your company talk about the real issues facing the organization? Are people more likely to avoid and sugarcoat than talk about reality? If your organization still operates according to 20th Century rules, you’re not alone. But think about how you can bring some 21st Century thinking into your work. Your strategy will be stronger and your organization more resilient as a result. NOTE: Are you in a regulated monopoly? If so, forget this article and enjoy operating in a stable, predictable environment. You’re one of the few out there! Note: This post first appeared on the Partnering Resources website and is posted here with permission.